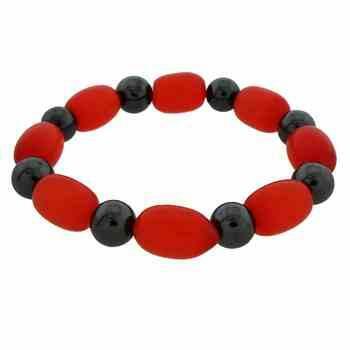 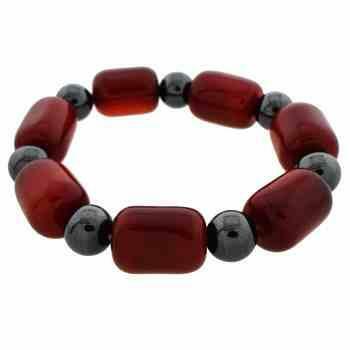 A vibrant red crystal and hematite bracelet. 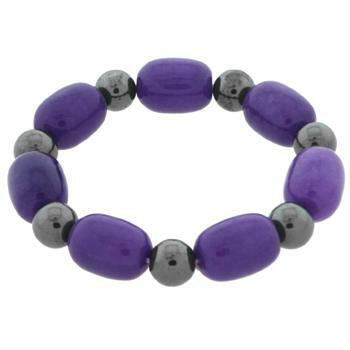 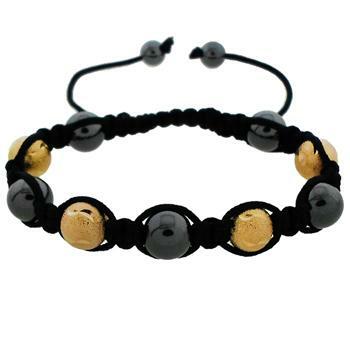 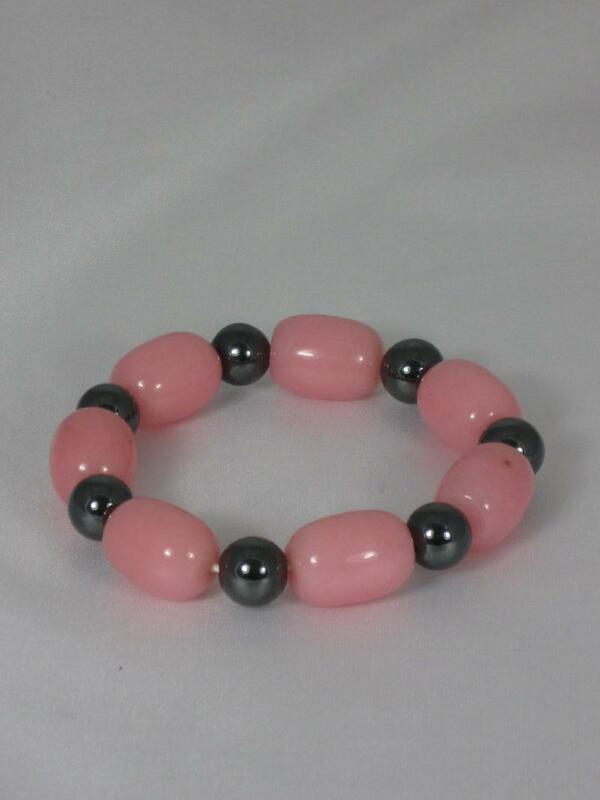 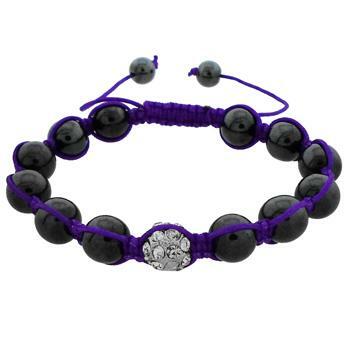 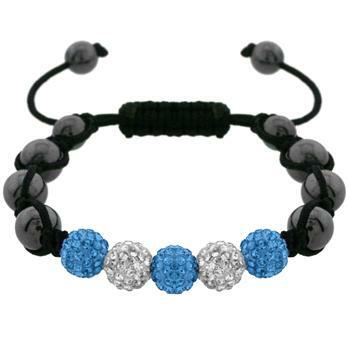 The five crystal encrusted beads are bright and shiny and make a wonderful contrast to the eight black hematite beads.. 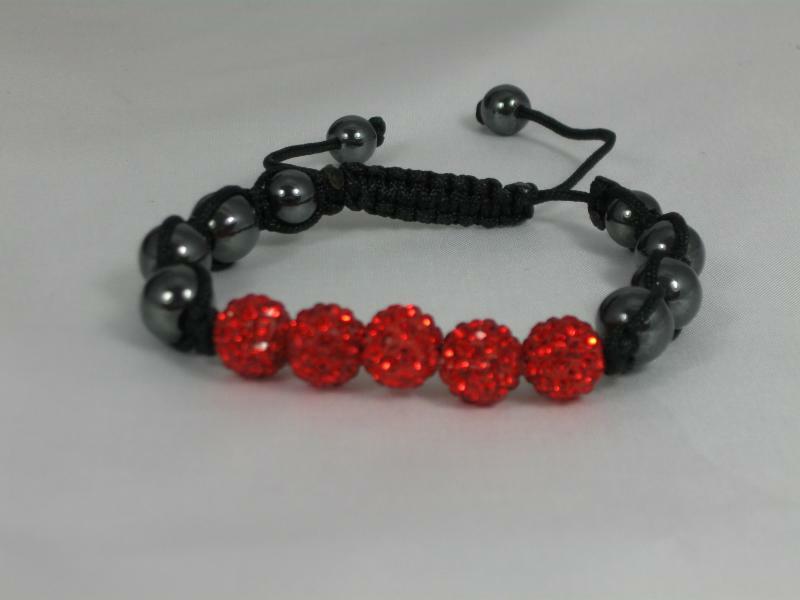 The black cord fastening is finished off witha further two smaller hematite beads making this bracelet both stylish and beautiful.